Why monitor violence against children? Children have a right to be protected from harm and maltreatment so that they can grow and thrive. But many children face violence every day in their homes, schools, and communities. Monitoring the nature and extent of violence against children is the first step to developing evidence-based child protection and violence prevention programmes and services. 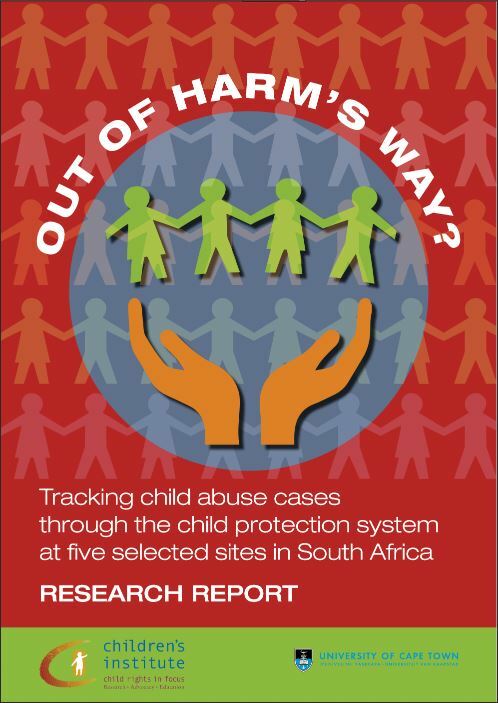 On this site you will find statistics on the levels of violence against children in South Africa, based on the best available data. You will also find interactive maps that show the coverage of relevant services. This site is part of Children Count, an ongoing Children's Institute project monitoring child rights. Click on the links below to find out more. Children have a right to be free from all forms of physical or mental violence, injury or abuse, neglect or negligent treatment, maltreatment or exploitation. Monitoring violence is necessary for informing effective policies and programmes for response and prevention. A focus on risk and protective factors allows us to identify areas for reducing and preventing violence against children. Prevention requires not only reducing risks, but also strengthening protective factors and supporting children and families in various contexts. Parents, families and communities play an important role in protecting children from harm. When these layers of support fail, the state is ultimately responsible for upholding children's right to protection. This map shows the spread and location of selected services. This section explores the possibility of mapping indicators and the location of relevant services at a district level.It also considers whether services are located where children live.